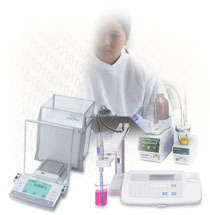 Nexxis CAL is a unique calibration management solution that can make calibration management an integral part of every analysis that your lab runs. Replacing your paper-based calibration management system with Nexxis CAL will reduce the time and resources that you need to dedicate to managing your instrument calibration program. Nexxis CAL can automatically collect calibration data from an instrument, check the data against acceptable limits, determine whether the instrument passes or fails the calibration and store the results in the calibration database. Nexxis CAL can also be used to automate and control analytical SOPs. Any analytical SOP can now include a step to check the calibration database, to see if the instrument being used is due for calibration. If calibration is required, Nexxis CAL can automatically calibrate the instrument before continuing with the analysis. Using Nexxis CAL to integrate instrument calibration with the automation of analytical procedures ensures, and documents, that all tests are carried out using instruments that meet laboratory standards and requirements.